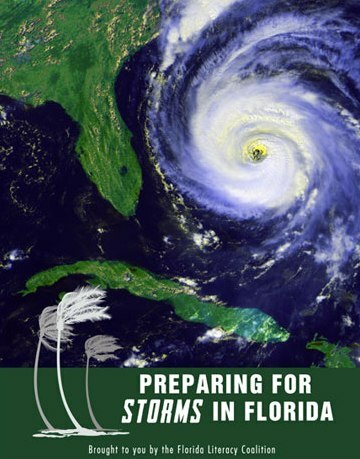 The Florida Literacy Coalition is pleased to bring you this guide to help you and your family prepare for hurricanes and other weather emergencies. This plain language manual can be used by educators, including adult and family literacy practitioners, to share important safety information while teaching basic skills. Adult education and literacy providers are now able to order the manual through the Florida Adult and Family Literacy Resource Center Clearinghouse. The digital version of Preparing for Storms in Florida is freely available for everyone. UNO-CHART has created a facilitator’s guide to go with their original Louisiana edition. You can download the full manual or browse a few of the lesson plans below. Teach students the different methods to protect their home from potential hazards. Help students understand the difference between a hurricane warning and a hurricane evacuation, the proper way to reach out if they are incapable of providing their own transportation during an evacuation and tips on how to shelter in a place safely. Since some evacuations involve going to a shelter, students will learn what is important to bring to a shelter and their rights as a displaced person. Students will learn what to do when they return from an evacuation and several safety tips for coming home after an evacuation.